Reproductive medicine is practiced in a distinctive environment. This environment is shaped by the rapid pace of medical advancement, and the fact that reproductive medical tourism tends to involve third parties. There are many unresolved problems and a need for guidelines to advance proper medical practice. 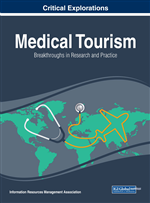 There are also differences in historical, political, religious, and social environments in the destinations involved in reproductive medical tourism. These generate problems relating to the rights and welfare of both patients and children. This chapter discusses these and other problems concerning differences in legal regimes, and discrepancies between the treatment received in the destination country and that provided after returning home. Most significantly, the problems are accompanied by a failure to acknowledge the paramount importance of the rights not only of patients, but also of unborn children. To engage in reproductive medical tourism without regard for these rights is not permissible. Japan also outstrips the U.S. and Europe in terms of the number of ART procedures performed: 269,659 in 2011, as against 151,923 in the U.S. and 537,463 (or 15,307 per country) in the 34 EU countries. The number of children born through ART in Japan in 2011 was 32,426, or 3.1% of the country’s 1.05 million annual births (Japan Society of Obstetrics and Gynecology, 2012). It is inferred from these figures that births involving some kind of fertility treatment, whether ART or otherwise, account for at least 10% of all births in Japan. Furthermore, embryo freezing technology in Japan is several years more advanced than in the West. Today, more children are actually born through the thawing and transfer of frozen embryos than through the conventional techniques of in vitro fertilization and embryo transfer.